This is the only steelhead egg-take operation in Michigan and the primary egg-take facility for Chinook salmon in the state. The work done here each year helps ensure a healthy populations in the Great Lakes. This is the only Steelhead egg-take operation in Michigan and the work done here each spring helps ensure a healthy population in the Great Lakes. Stocking takes place in rivers all across Michigan and in parts of Ohio and Indiana, but no steelhead are planted in the Little Manistee. In a remarkable testament to the powers of "the Mother River," some stray from the rivers where they were planted and return here instead. The majority of the Steelhead harvested at the weir, however, are naturally reproduced. Steelhead egg take occurs each spring and supports stocking in rivers all across Michigan and in parts of Ohio and Indiana. However, steelhead are not planted in the Little Manistee. In a remarkable testament to the powers of the “Mother” River, the majority of the steelhead returning to the weir each year are wild fish naturally produced from the gravel riffles and cold water of the Little Manistee River. In the fall, generally between 10,000 and 20,000 Chinook salmon are harvested at the Little Manistee River weir as part of the annual egg-take process. In recent years, anglers have reported great success during the summer run of wild Chinook and have also enjoyed fishing for wild Coho salmon in late fall. Migratory brown trout also run up the Little Manistee and offer additional angling opportunities along with various resident species. 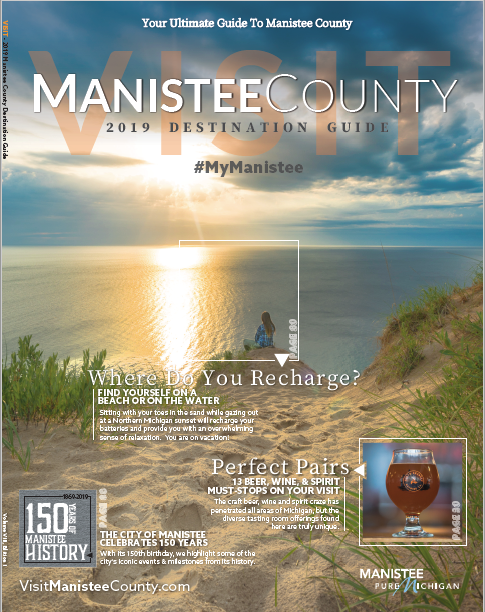 Grant funding has been secured to build the first phase of a Fisheries and Stewardship Center at the site of the Little Manistee River Weir, to help everyone who visits the site understand the importance of what happens there. As with all Explore the Shores sites, the infrastructure that will be built will be universally accessible. The site will also include an interpretive and educational trail, a viewing platform directly below the weir, a restroom facility, canoe and kayak launching facilities, and the design concept for future phases includes pathways to provide universal access to recreation and fishing opportunities, paved parking facilities with designated handicapped spots, an interpretive and educational gazebo and a below-ground viewing chamber where people will be able to see the migration of trout and salmon. Wayfinding signage will also be expanded to help visitors find the weir. Because of the weir operation and the need to protect the wild population of steelhead, the DNR has placed restrictions on fishing on the Little Manistee. Refer to current DNR Fishing Regulations at www.michigan.gov/dnr. The weir grates are generally lowered by mid-March for steelhead egg take and remain in place until the egg take is completed, usually in mid-April. In the fall, for Chinook salmon egg take, the grates are lowered by mid-August and remain in place until the harvest is completed, usually in late October. During the egg-take operation, the DNR facility is open to the public. 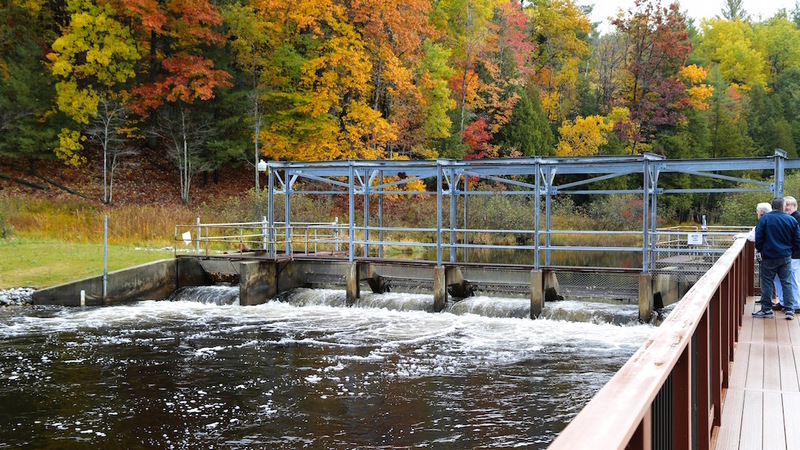 The Little Manistee River weir has been operated each year since 1968. The dam boards and grates also serve to block migrating sea lampreys, an invasive and parasitic species that preys on larger fish and harm populations of trout and salmon in Lake Michigan. Over the years, steelhead from the Little Manistee River have been stocked in 10 states and two countries. The DNR operates and oversees all egg-take operations at the weir. They contract with a private company to assist with Chinook salmon harvest of surplus fish. Other species that enter the weir are passed upstream.